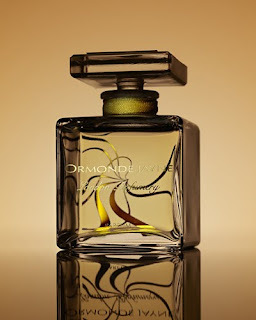 Well, readers I promised to return with a review of a brand new, fabulous perfume and here it is: Ormonde Jayne’s newest, Tiare. Upon reading the news that the Ormonde Jayne Perfumery had produced a new fragrance with tiare absolute as its starring feature, I tried to imagine what the scent would be like and fully expected to be greeted with a voluptuous, summery exotic fragrance when my sample arrived. I couldn’t have been more wrong: Tiare is the pinnacle of modern sophistication and classic elegance: a true chypre that has taken my breath away! It opens with sparkling notes of hesperidic fruit (juicy mandarin and bracing, refreshing lime) whose tartness is masterfully cut by a magnificently refined neroli note. Orange blossom can be very heady, but here its presence is airy and soft, adding a beautiful touch of femininity to the fresh opening. As the fresh notes subside, the biggest surprise this perfume has to offer emerges: a gloriously animalic floral note blooms, like a sumptuous flower which unfurls its petals to reveal a shockingly naughty core. There is a distinctive lily scent, melded with the fuzzy feel of pollen and infused with this fabulous, honeyed animalic note that takes me by surprise and makes me swoon with pleasure. The jasmine note is green and beautifully complimented by a barely-there, subtle earthiness which is in turn drenched with the scent of ylang ylang. For once, I do not find the ylang ylang oily or heavy - instead it lifts the scent to the threshold of the exotic, ‘coloring’, as it were, the fragrance with sunshine. And I use the word ‘threshold' consciously, for it is never actually crossed: the unconditionally sophisticated base exerts such influence, that this perfume never actually crosses over to the exotic - even when the gardenia-like fullness of the incredibly precious tiare absolute fully emerges. And this is not a small feat: it is hard not to admire Linda Pilkington’s mastership and finesse as one becomes aware of the skill required to tame all these rhapsodic, lustful, voluptuous florals and to compel them to behave as the most comely, sophisticated bouquet. This beautiful tension between wild abandon and perfectly groomed restrain is achieved through the strong woody-mossy base that manages to arrest the promiscuous heart and to harness and guide its potency into a polite yet powerfully meaningful, masterful arrangement. In other words, Linda Pilkington has gifted us with a return to the glories of chypres past. As we enter the drydown stage we encounter Linda’s familiar players: the soft creaminess of orris (never powdery in her hands) and her beloved vetiver. The lasting power is amazing - this is one of the fragrances you wake up with the next morning. In my case, the traces left on my skin just make me want to re-apply. This amazing composition is refined, sophisticated (yes, I’ll say it again) and most importantly perhaps, unabashedly womanly. In every sense of the word. I see a full bottle in my future. I am so happy you are back, D. I hope your exams went well. So, now that you have totally tempted us with your evocative review, when does this fragrance debut, and how can we get our hands on a sample, or even a bottle? I admire OJ fragrances, but don't love them. However, this sounds so amazingly original and gorgeous, I am dying to try it! Welcome back! And with such a beautiful review!! I'm very curious about Tiare: I wouldn't have disdained a luscious tropical white flower scent (the one I was hoping Tiare to be), but glorious chypre from the past is a definition worth sniffing. I hope that your psat week so really successful: I was so looking forward to this review, and certainly wasn't disappointed! This sounds absolutely beautiful, and the strangest thing is, I've just treated myself to some very similar: "Que sais-je" (Patou). It's an old fashioned chypre with a touch of honey. Gorgeous! I know I'd like Tiare, and can't wait to try it! Divina! You're back! :) I hope you mean to stay now and that the exams went great. A great post and now I'd like to try it. OJ creations are, well, masterpieces. Hi, what a great review! I hope the exams went well. I too was hoping a luscious tropical: I was expecting Tiaré to be the tropical sister of OJ Frangipani. Anyway, after all the good you say about it, I will still have to test it! Nice perfume thanks for sharing it. Looks cool i must try this one. It's supposed to be a nice perfume. I will try it. Dearest Violet, it's good to be back especially when receiving such a warm reception - thank you! As far as I know this is already available. OJ's site lists it and you can buy it from there. I don't know if their sample program is already updated to include this new perfume, but I would believe it is. 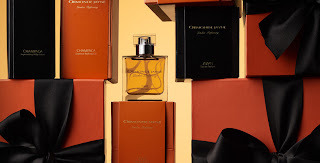 CC, I have nothing against exotic fragrances myself, but considering the market definitely lacks beautiful chypres more than exotics I was mightily pleased! Hello my sweet Linda! I haven't tried the Patou, but would love to. This one is absolutely worth trying - both me and P. love it! Do give it a try next time you're in London!! I know what you mean Zazie - OJ has created some fragrances insprired by tropic locales and ingredients but none really subscribe to the luscious, creamy, indulgent feel we generally expect from a true tropical perfume. With Linda Pilkington's affinity for showcasing florals though, I expect great things when she decides to tackle such a project. Perfume holds the power to enhance my mood and even change it. I can use it to highlight aspects of myself. It can make my heart swoop with joy and it can send me back in time by awakening distant memories. I want to share my love for perfume with you. Let's exchange our thoughts and share our experiences.